Movie free listed from 11 February 2019. The boundary between the world of humans and monsters has collapsed! The legendary demon hunter (Jackie Chan) defends humanity from an inhuman invasion with a motley group of friendly monsters. When the barrier holding back the kingdom of monsters is opened and village girls start getting kidnapped, our hero encounters another demon hunter who is not fully human! 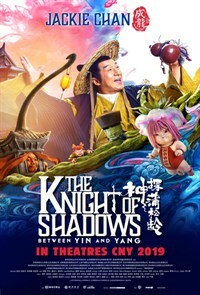 This epic movie features exciting action, wild comedy, eternal love and revelations of a world beyond.